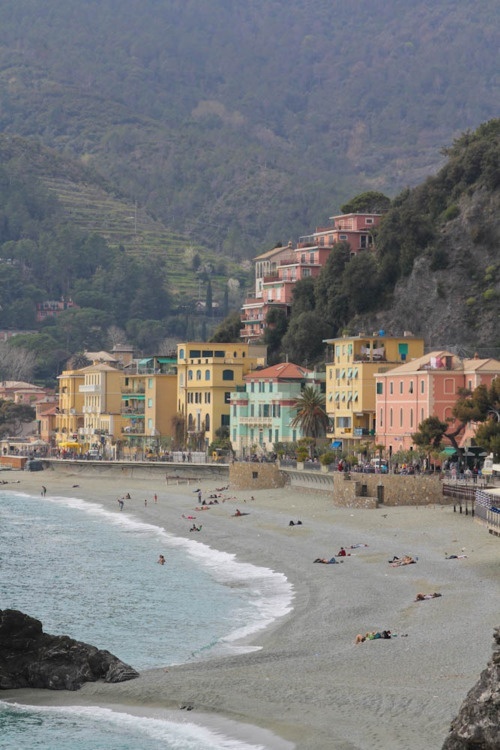 Monterosso al Mare is a town and comune in the province of La Spezia, part of the region of Liguria (northern Italy). It is one of the five villages in Cinque Terre. It was extensively damaged by a flood on 24 October 2011. Originally, the village was only accessible by sea or by mule paths that connected the villages of the Cinque Terre and to Via Roma, the main road that connected all of Italy to Rome. These mule paths have been maintained and used over the centuries and now provide hikers with a more intimate view of the sea-swept Cinque Terre. The area was recently designated as part of the national park system and is considered a protected area, to the effect of limited development and resource usage. The Cinque Terre hiking trails have been taken over by the national park system and there is now a fee to hike on all portions of the trail.